Newsletter February 2016 - How to survive tax time - Kay Kan! Is the documentation you’ve accumulated threatening to take your productive workspace? Do you need to get that 2015 paperwork organized before you deliver it to your CPA? Is the question on your mind what to keep and what to discard? Then read on for our easy How to Survive Tax Season Guide. 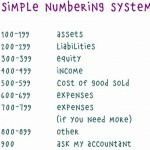 *Having computerized accounts is best whether it be QuickBooks, Quicken, Mint, etc., or a simple Excel spreadsheet. *Remember to keep those sales receipts or invoices so you can easily track your income. Just taking a few minutes a month to organize your financial paperwork and update your accounting files will save you valuable time every year prior to April 15th. If that seems like a daunting task, we can help. K-Kan has been helping organize documents using various accounting systems and even Excel spreadsheets for solopreneurs and small companies for seven years. We can assist you in getting a clear idea of your bottom line, being able to pay your bills on time and knowing which customers owe you money, helping you to avoid any nasty financial surprises at the end of the year. Ensure accurate and complete transfer of information with a high degree of readability. Electronic storage media must offer the ability to index, store, preserve, retrieve and even reproduce documents. Provide a reasonable contract to prevent unauthorized creation of electronically stored records. Procedures relating to the use of electronics storage system must be in writing. Check every year to insure you can still access what you are storing. If you decide to stick with your file cabinet, maintain folders and files in the categories mentioned above and plan a spring purge of unnecessary papers once a year. keep it that way and various time-saving tidbits.